Part of the Turkish Empire until World War I, Iraq came under British rule in 1918. In the 1920s the British installed a monarchy which was overthrown in 1958. For the next 20 years a series of military governments alternated in quick succession until Saddam Hussein assumed power in 1979. 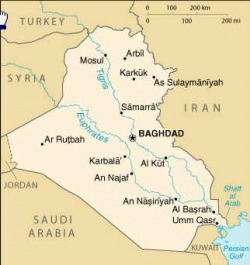 A bitter war between Iraq and Iran erupted in 1980 and lasted until 1988. In 1991 Saddam Hussein attacked Kuwait, provoking a US attack in 1992. Since the end of that war, Iraq has been under close UN and US scrutiny and control.